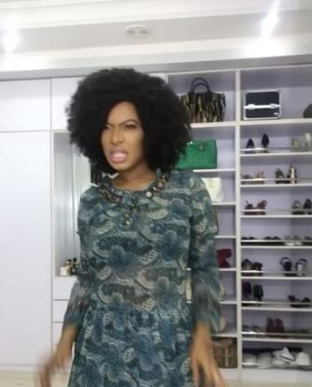 Have you seen the drama Nollywood actress Chika Ike puts up while attempting to dance to Crazy in Love song by Beyonce ? Mcheeew! THIS ONE? BEYONCE WANNABE? Thats gonna take a whole of eternity for her to achieve that feat. Even at that, she can never be like Beyonce. Beyonce does not just dance well, but sings, thrill any crowd and in terms of outward beauty, she‘s an Angel compare to this fake notice-me mumubrity called chika ike. She’s dancing like an earthworm that they poured salt on. Fifelomo on Vikings Confraternity Cult Leader & Akwa Ibom State Most Wanted Kidnapper Arrested! !